Obituary for Frank Fortunato Sr. | Thomas J. Shea Funeral Home, Inc.
Frank P. Fortunato, 87, of Kirkwood, NY, passed away on August 14, 2018, after a sudden illness. He is survived by two children, Frank (Rhonda) Fortunato Jr. of Vestal, NY, and Sue (Ted) Timashenka of Endicott, NY; two grandchildren, Troy (Brittany) Fortunato of Long Valley, NJ, and Jenelle Fortunato of State College, PA; one sister, Theresa (Skip) DaBrescia of Hancock, NY; one sister-in-law, Frances (Harvey) Rhinebeck of Middletown, NY; and numerous nieces and nephews. 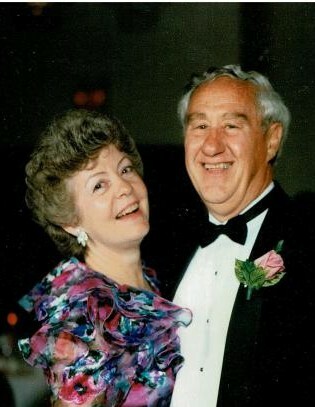 He was predeceased by his wife Bea in 2013; his parents Frank and Theresa Fortunato; four brothers, Joe (Arlene) Fortunato, Al (Elaine) Fortunato, Tony (Joyce) Fortunato, and Rocky (Katie) Fortunato; two sisters, Mary (Scott) Henderson and Louise (Andy) Senia; and one brother-in-law, Richie (Pat) Reichman. Frank was born on January 29, 1931, in Cadosia, NY. He graduated from Hancock High School. He had fond memories of playing the saxophone in a dance band in the Hancock area. He served in the United States Army and was stationed in Germany in the band. He owned his own Texaco service station and car dealership in Binghamton for many years. He was previously active in Lions Club. He worked many races at File Mile Point Speedway. He was a member of St. Mary's Church in Kirkwood and also attended Fairview United Methodist Church in Binghamton. Frank enjoyed driving his classic cars, attending jazz concerts near and far, cooking excellent meals for family and friends, watching New York Yankees games, maintaining his yard, and hunting. He lived a full and active life and will be missed by many people. Family and friends will be received on Friday, August 17, from 4:00 to 6:00 p.m. at Thomas J. Shea Funeral Home, 137 Robinson Street, Binghamton, NY. A Funeral Service will be held on Saturday, August 18, at 11:00 a.m. at Fairview United Methodist Church, 254 Robinson Street, Binghamton, NY. A private burial service will be held at a later date in Long Eddy, NY. Memorial contributions can be made to Fairview United Methodist Church.